Already listed with our Phuket garden statues directory? 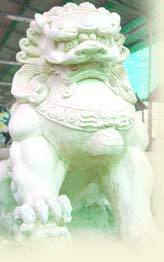 Garden statues in Phuket from the high quality materials for outdoor decor from your garden in your home in Phuket. Garden sculptures or garden statues in any figures are provided in a list of garden statues in Phuket in Phuketindex.com. Rattanakosin is one of the Phuket's most well-known pottery shops which produces and distributes pottery and garden ornaments including porcelain.